Take Precautions Against Vector-Borne Diseases. As summer approaches, it is important for Connecticut residents to be aware of vector-borne disease transmission through the bites of certain blood-feeding mosquitoes, ticks, and fleas. 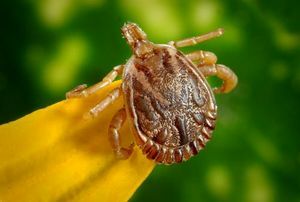 Vectors can carry bacteria, viruses, and parasites that, upon infection, can cause diseases such as Lyme or Anaplasmosis/Ehrlichiosis. Luis Pantoja, from the Central Connecticut Health District, will discuss the latest data and protective measures to take in order to help us stay healthy as we head into the warmer months.